The Swiss are known for many things. Clocks, chocolate, and of course that fabulous knife, because the last thing you want as a Swiss army officer is to be stranded in the Alps and no way to open your wine. 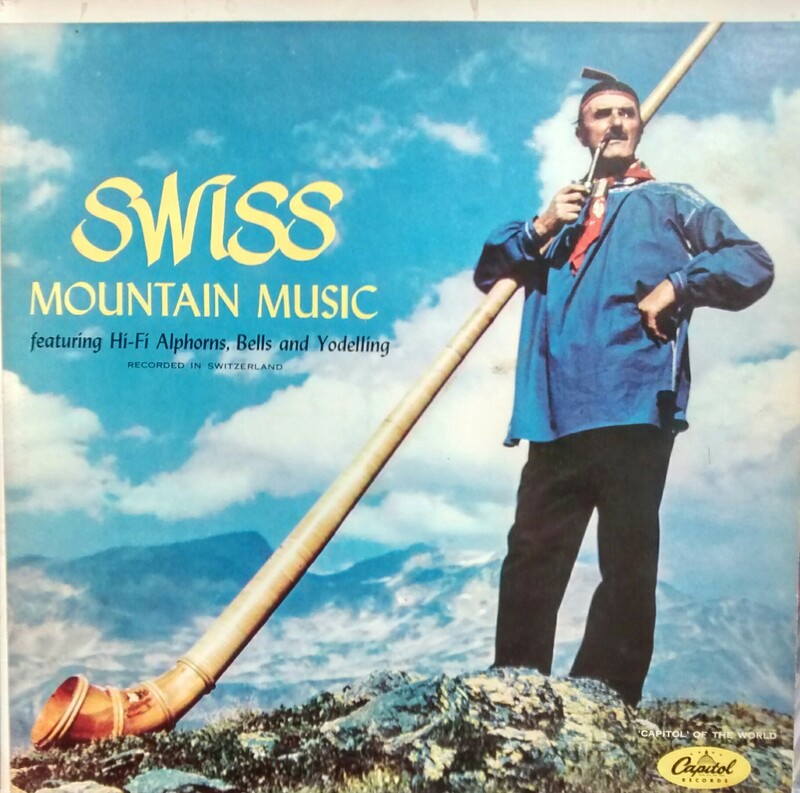 But perhaps nothing is so Swiss as the alphorn and a good bit of yodeling. I came across the above album at a thrift shop and couldn’t resist. I mean, look at that cover. Although there is plenty of information about alphorns and yodeling from all reaches of popular culture (remember those commercials?? ), I could find little to nothing about this particular record, save for a small entry on a Swiss website about Josef Inauen and his band. 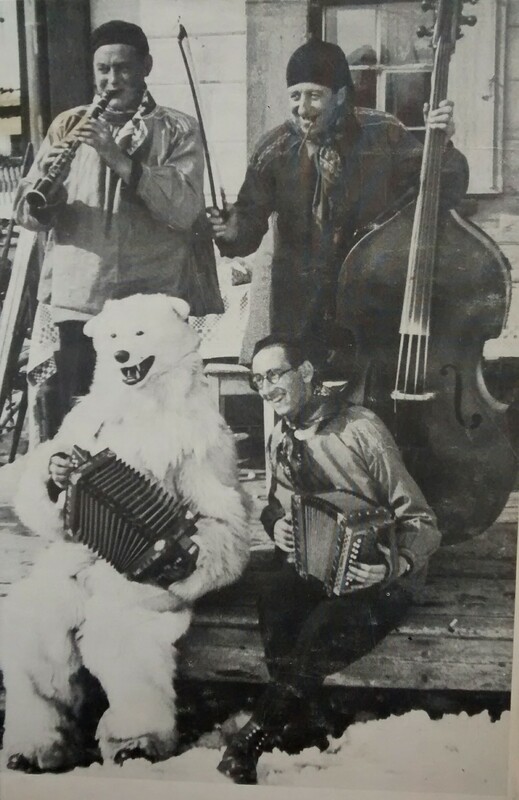 Fiddler Josef Inauen (of his own band Franzsepp Inauen), was known to tour during the 1950s and carried some notoriety in his homeland. His playing is featured on track two of side one of Swiss Mountain Music. Below is a photo from an event played in Dublin, Ireland, while his group was there promoting Swiss tourism. 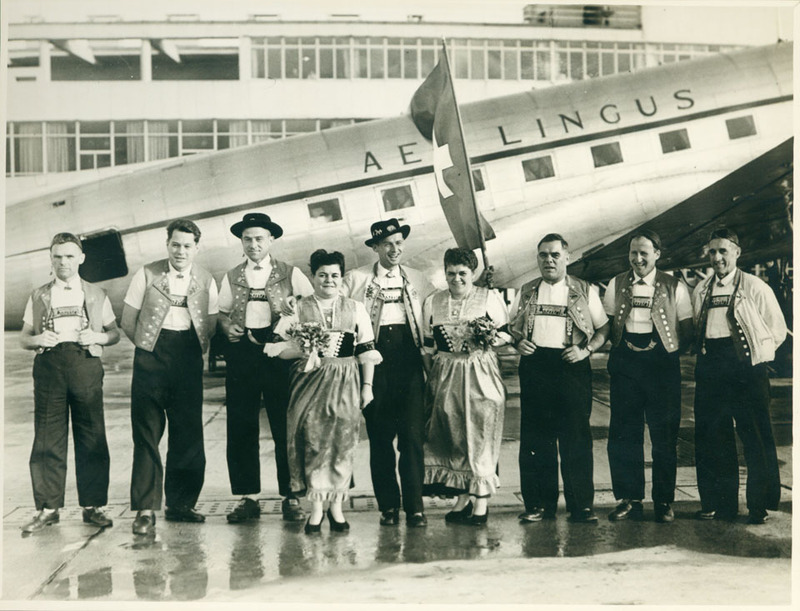 The band “Franzsepp Inauen” in Dublin, Ireland, 1951. Josef Inauen is pictured at far right (via). This is the first (and only) recording of an authentic Swiss alphorn ever to be recorded in true high fidelity on modern sound equipment. That alone should be the calling card for all you die-hard, early alphorn recording collectors. And I know you’re out there. So keep an eye out for this LP at your local thrift store and get ready to take a hi-fi musical journey through Swiss mountain country. A little more about this album at Discogs. From the back cover of the album. Who knew the Alps had polar bears? ?